The Supreme Court on Tuesday threatened the Reserve Bank of India (RBI) with contempt proceeding for not disclosing banks' annual inspection reports under the Right to Information (RTI) Act. In January this year, the apex court had issued a notice to the central bank on a contempt petition. Earlier, both, the apex court as well as Central Information Commission (CIC), had held that RBI cannot refuse to put in the public domain the annual inspection reports of banks. However, RBI has refused to follow these orders saying that these reports contain 'fiduciary information' as defined under the RTI Act and, hence, cannot be placed in the public domain. The Supreme Court also directed RBI to decide its course of disclosure within one week, failing which the apex court says it will take necessary action against the central bank. Commenting on the SC warning, Shailesh Gandhi, former central information commissioner, says, "It is a very sad comment on RBI and its commitment to the law of the land. RBI is displaying complete arrogance and a basic lack of commitment to transparency. As one of the prime regulators of the nation, it must realise that it is setting a wrong example. If it will not obey the mandate of law, who will respect its directions?" In the petition, Mumbai-based Girish Mittal, represented by senior counsel Prashant Bhushan and Pranav Sachdeva, contended that he had sought information under the RTI Act in December 2015 like copies of inspection reports of ICICI Bank, Axis Bank, HDFC Bank and State Bank of India (SBI) from April 2011 and copies of case files, with file notings on various irregularities detected by RBI in the case of Sahara Group of companies and erstwhile Bank of Rajasthan. In the notice, the then central information commissioner Prof Sridhar Acharyulu had also asked the prime minister’s office (PMO), finance ministry and RBI to make public the letter sent by previous governor Raghuram Rajan on bad loans. In the order, Prof Acharyulu had stated, "The Commission finds no merit in hiding the names of, details and action against wilful defaulters of big bad loans worth hundreds of crores of rupees. The RBI shall disclose the bad debt details of defaulters worth more than Rs1,000 crore at the beginning, of Rs500 crore or less at later stage within five days and collect such information from the banks in due course to update their voluntary disclosures from time to time as a practice under Section 4(1)(b) of RTI Act." Prof Acharyulu, irked over the denial of information on wilful defaulters who had unpaid loans of Rs50 crore and more, asked the RBI governor to explain why maximum penalty should not be imposed on him for ‘dishonouring’ a verdict from the apex court, which had upheld a decision taken by then Information Commissioner Shailesh Gandhi, calling for disclosure of names of wilful defaulters. Even in December 2015, the apex court, in a landmark judgement, had told RBI that the banking regulator cannot withhold information citing 'fiduciary relations' under the RTI Act. Hearing a set of transferred cases, a division bench of Justice MY Eqbal and Justice C Nagappan had said, "From the past we have also come across financial institutions which have tried to defraud the public. These acts are neither in the best interests of the Country nor in the interests of citizens. To our surprise, the RBI as a Watch Dog should have been more dedicated towards disclosing information to the general public under the Right to Information Act. We also understand that the RBI cannot be put in a fix, by making it accountable to every action taken by it. However, in the instant case the RBI is accountable and as such it has to provide information to the information seekers under Section 10(1) of the RTI Act." In most of the transferred cases, Mr Gandhi, the former central information commissioner, while directing the RBI to provide information sought by applicants, had rejected the central bank's contention of 'fiduciary relation' for denying information. I really cant understand what the RBI is trying to hide! Unless, they are themselves to blame for omissions and commissions. 1. RBI does not want to publish its Annual report, no auditing by CAG/statutory audits? 2. Similarly, RBI does not want to publish list of big loan defaulters. No accountability to ‘ticking master of RBI& statutory audits ‘ ; when INR.Lacs of crores by PSB advances go bad ab initio. RBI Governor sheds his shoulders & statutory auditors resign. 4. IBA has NO registration under any Indian Act, no audit, no publication of Annual Balance sheets, no transparency, and zero accountability. How long does it go on with duds of adhocism in UFM, PMO, since independence? IBA collects INR.hundreds of crores from 243 member banks towards annual membership fees and spends money to bribe UFBU members by doling out cash in crores , allotment of free flats to UFBU steering committee members in BPS every 5 years. No transparency, no accountability on par with RBI. I don't know. As an ex-banker, I know the inspection report contains hundreds of items - so and so bank accounts opened did not have sufficient proof of address etc - and hundreds of similar operational related items - some sections though are crucial - credit related - security provided for loan was not adequate etc - These are 50 - 100 page reports - I think crucial items should be insisted with - disclosure of loan defaulters over 50 crores and likes. But not the entire nitty gritty of a report / bank functioning to say. Once we start getting too deep - next we will compare inspection reports - and start judging why Rbi levied penalty of 10 crores on X bank and 20 crores on Y bank. More "sealed envelopes" will be the result? Or now the bankers will head for England that is London. I don't have much hope with this move too. I am among those who are convinced that even this simplest and most unambiguous of laws- the RTI Act- has been subverted totally by the information commissioners and the judiciary. Without going into those details, in the context of this issue of RBI not complying with explicit orders of the information commissioner and the top court why is it that penal action is delayed so blatantly. If punishing criminals is not the top priority of our judges then it is better to leave it to natural justice to take its own course. Arrogance of RBI needs to be subdued. I hope the Supreme Court acts in this case. My experience with the legal people is that when it comes to a crunch, the whole matter cools down. Cool down? Or more precisely, gets shoved under the carpet? 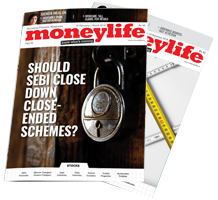 Market regulator Securities and Exchange Board of India (SEBI) has barred 12 websites and three people behind these portals for luring investors with an assured monthly income and returns of 300% to 800% by sharing fraudulent market tips. Entities barred by SEBI include Rishabh Jain, Ubaidur Rahman and G Kadar Hussain and websites www.trade4target.com, www.niftysureshot.com, www.mcxbhavishya.com, www.callput.in, www.newsbasedtips.com, www.futuresandoption.com, www.optiontips.in, www.commoditytips.in, www.sharetipslive.com, www.thepremiumstocks.com, www.callputoption.in, and www.tradingtipscomplaints.com. According to the SEBI order, these people created unregistered investment advisory websites periodically and lured investors by promising assured monthly income with unbelievable returns of 300% to 800% on buying and selling of securities based on the tips provided by them. 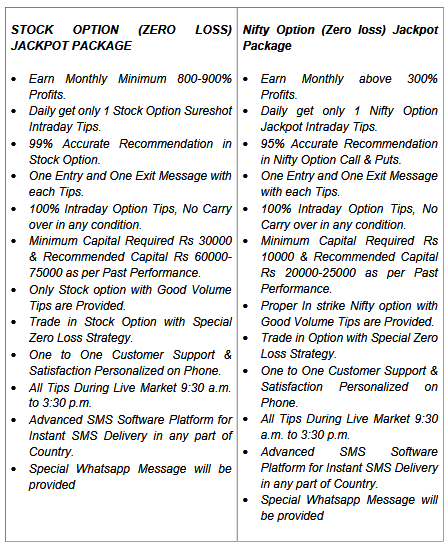 "Once the subscription is received, they either give stock tips for few days to the subscribers and then stop entertaining their calls, or avoid the calls of the subscribers entirely without giving any stock tips," it added. Without obtaining any registration from SEBI as investment adviser, these websites were found taking subscription from investors. The subscription ranges between Rs7,500 for one month and Rs1 lakh for a 12-month package. They use terms such as ‘zero loss’, ‘jackpot’, ‘rumour based’, and ‘sureshot’, in the names of the packages offered on their websites and promise accuracy between 90% to 99%, SEBI says. 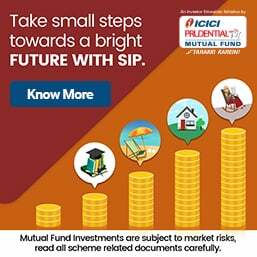 A probe by the market regulator shows Mr Jain was the beneficiary of several websites, www.trade4target.com, www.niftysureshot.com, www.optiontips.in, and www.callput.in during August 2015 to April 2017 and collected subscriptions of over Rs1.5 crore through 1,343 subscriptions made through PayUmoney by acting as or holding out as an investment adviser offering stock recommendations. Similarly, Mr Rahman was found to be the beneficiary of several websites like www.trade4target.com, www.niftysureshot.com, www.optiontips.in, www.callput.in, and www.callputoption.in from January 2017 till date and collected subscriptions exceeding Rs3.5 crore through 3,816 subscriptions made through PayUmoney by acting as or holding out as an investment adviser offering stock recommendations. The third accused, Kadar Hussain, was beneficiary of two websites www.optiontips.in and www.tfttips.com and collected subscriptions by holding himself to be an investment adviser offering stock recommendations. In his three bank accounts appearing on the said websites, there were credits in excess of Rs5 crore, SEBI says. Interestingly, SEBI found these accused were running a portal tradingtipscomplaints.com, which was portrayed as the website to get refund on capital lost from trading tips and subscription money paid to trading tips-provider. A return of 300% to 800%? Absolutely no loss investment? A fool cannot be stopped from making bad decisions.